Let’s face it: Not all of us have hours to spare on a creating a beautiful, standout SlideShare deck. If you're going to do it right, it takes time. And how many of us have tons of time to spare? When we first started contributing our SlideShares, it took us close to 20 hours (you read that right!) over the course of a few days to get it done. To contrast this, we heard of some users who spent an hour or two on theirs, and still managed to snag a coveted “SlideShare of the Day” spot! We wondered, “How did they do it?” Since then, we’ve picked up loads of cues from other power users and through our own experience. 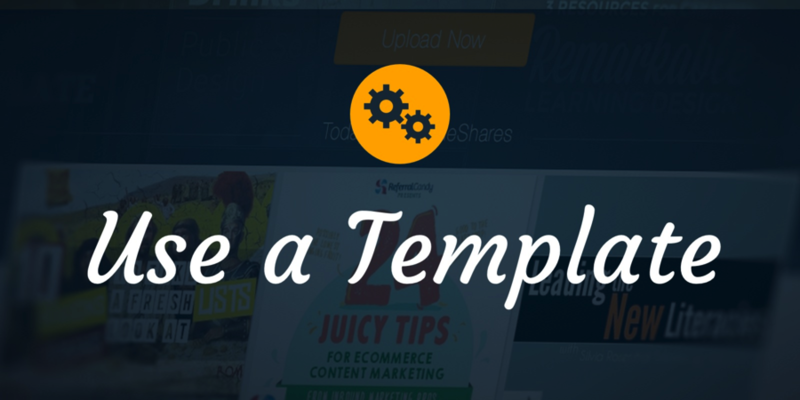 Below are some tricks to fast track your visual SlideShare content. 1. “Good enough” is better than none. We witness work from design firms on SlideShare and we can’t help but salivate at the eye candy while dreaming of achieving the same meticulously arranged elements coupled with bombastic image treatments. But if you’re not working with a team of designers, keeping it simple is the best way to crank out a decent-looking SlideShare -- fast. A common reason for inaction or delay is because you get too worried about how your SlideShare will look before it ever gets done. If you look closely at some masterful SlideShare users, something as easy as using a reliable sans-serif font and a good contrasting background can work wonders for how your decks look. You only need to include more elements if they’re essential in communicating your point. Otherwise, skip the embellishments and leave them to the guys who need to showcase their design chops. 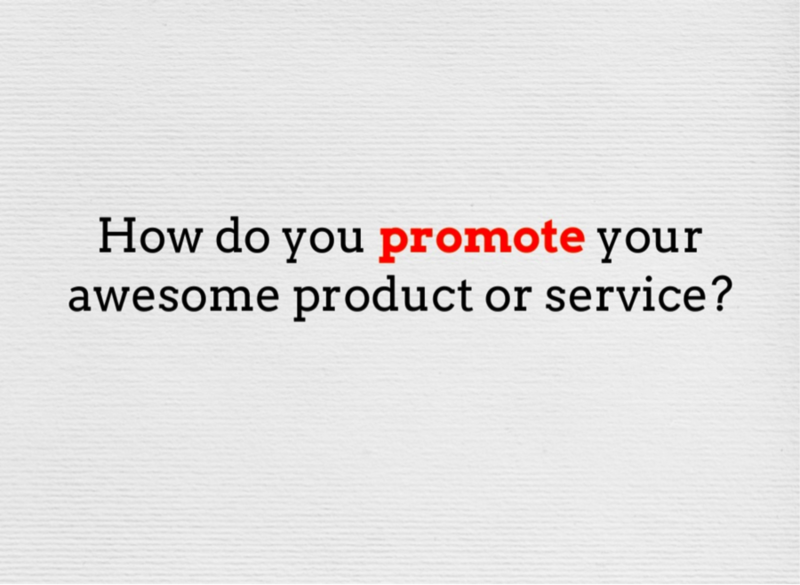 Focus more on consistently creating and uploading excellent content to showcase your brand. By keeping it simple, you’ll get the essence of your message out -- with minimal work. Creating standout SlideShares usually calls for numerous image treatments. Of course, not all of us are wizards in Photoshop or as technically competent as a designer. 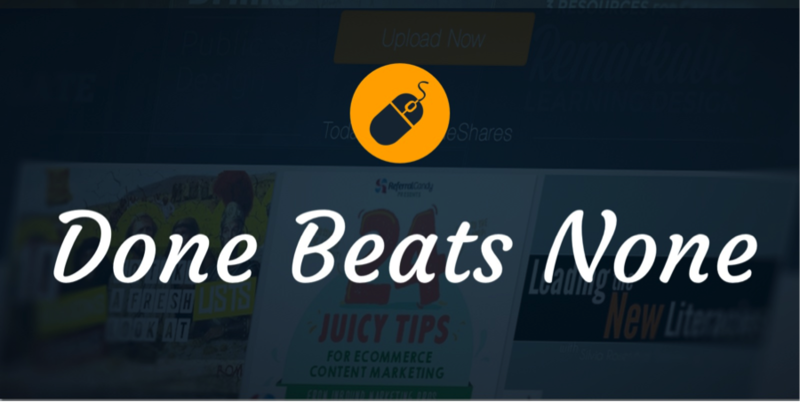 Using apps are the next best way to expedite your SlideShare. 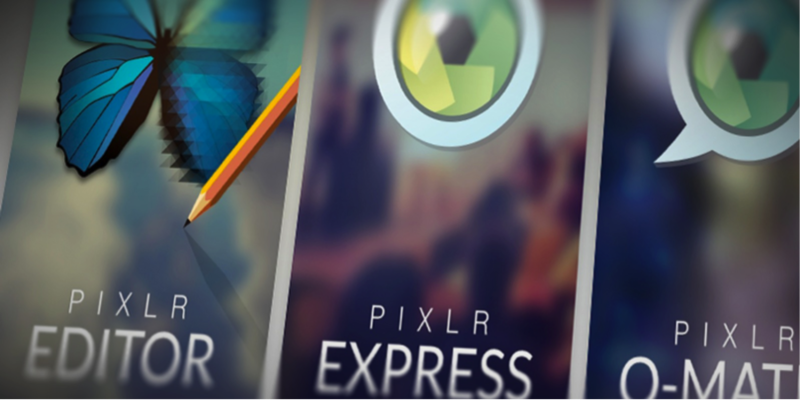 Keep your images consistent with Pixlr. With just a few clicks, your images look much more dynamic. Canva is a non-designer’s dream. They have tried and tested layouts and elements for you to use in your presentations. The best part is that you can export your future masterpieces in Image form (to use in PowerPoint) or as a PDF (to upload to SlideShare). PowerPoint has its limitations; incorporate these apps into your process for amazingly quick results! You’ve probably heard this before (we even did a SlideShare about it: Re-Present): SlideShare’s an excellent avenue to repurpose your existing content from blog-posts, e-books and other types of digital content to extend their useful life. 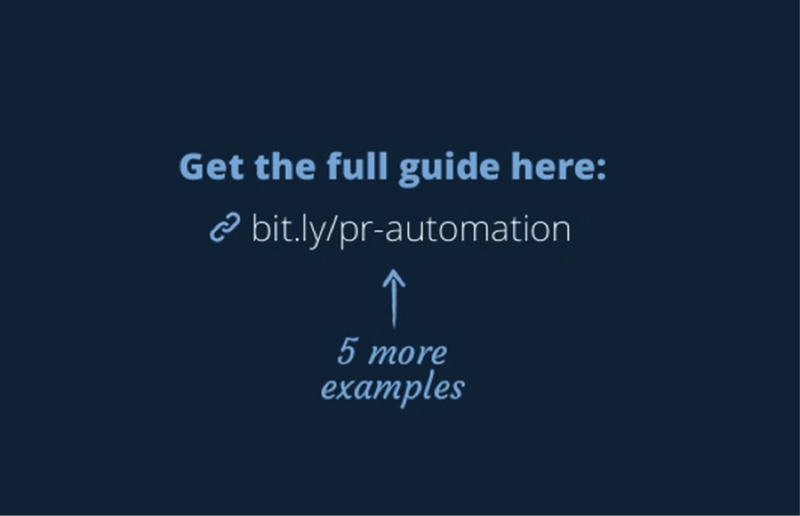 Assuming you’re repurposing a list blog post (e.g. "5 techniques to close sales faster"), your title’s already a given. Give the key list points their own slide. For the supporting points, split the sentences into a few slides with supporting imagery (icon, photo or diagram). You can even include a link back to the post at the end. A large part of our time is usually spent searching for imagery for our decks. 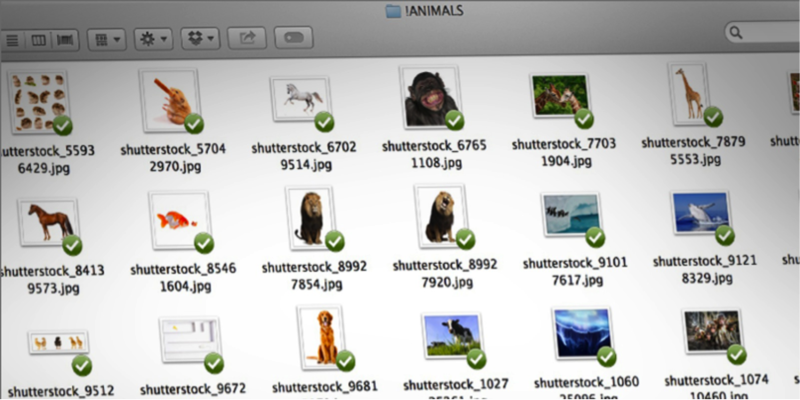 There are numerous sites to get free resources, ranging from image mockups to icons. Be sure to save the really good ones on your computer or the cloud. For your future SlideShares, you’ll have access to visual collateral you can recycle over and over again. How to do it: Many SlideShare users share links to resources, or often have a plain background slide with text. Don't be afraid to re-use simple, clean layouts like these, tweaking where necessary. 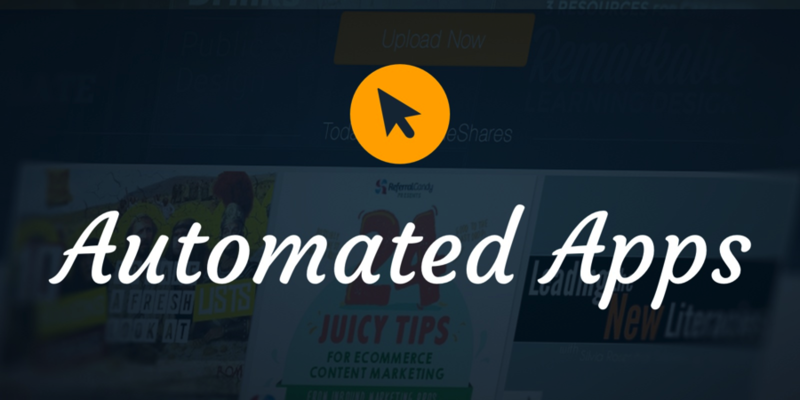 By doing this, you ensure design consistency in your SlideShares and save time that would otherwise be spent creating a new layout. To summarize, focus on the essentials, automate tedious processes with apps, seek inspiration from others, re-use existing materials and create a template for better workflow. 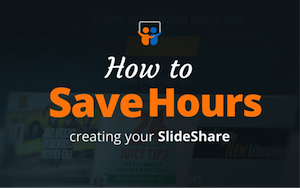 If you put these actionable tips to practice, you will save hours on your SlideShare. Eugene Cheng is the co-founder and creative lead of Slide Comet, a boutique consulting firm based in Singapore that provides presentation strategy and design services to multinational companies like Dentsu, government agencies like A*Star and soaring startups like SeedAsia. A self-confessed presentation obsessive, he relishes in building compelling visual content for his agency’s channel and his personal channel on SlideShare. Connect with Eugene on Linkedin.